The Wedding Planner Magazine | Wedding Invitations Checklist. Congratulations on your engagement! Now that you have a date set when should you start planning the invitations? Now that you have a date set when should you start planning the invitations? If you’re looking for a one of kind invitation the earlier you start the better. Here is a good timeline to help you get the invitations that you want without having to rush. Start working on your guest list. Remember, if you are having a total of 100 guests you may need around 75 invitations for married couples and families only get one invitation. Look for wedding invitation ideas. There are so many different kinds and styles of invitations. This will help you find what you like more whether it’s a modern design, an elegant calligraphy font, or even a unique design with feathers, crystals, or ribbon. Think about your budget if it’s realistic for the type of invitation that you want. This is also a good time to start thinking about your save the date. For these do you want a photo postcard save the date, a photo magnet, calendar, or a simple card? Get your complete guest list together and we recommend starting this early. Contact your preferred stationer to order your save the dates. Right now you should hopefully have secured your venue. If not, you should know the date of your wedding and at least the city your wedding will take place. Send out your save the dates. Make sure all names are spelled correctly. For your invitations if they are a custom order it’s time to hire a designer. Work with them to get all the details of your invitation. Is it going to be a simple invitation, silk boxed invitation, pocket fold letterpress, etc.? Are you going to get any extras with your invitations? For example RSVP cards, direction/map cards, weekend wedding cards, reception cards, envelope liners, addressing on envelopes, matching thank you cards, or a boxed invitation instead of an envelope. For your day of stationary you may also want menu cards, table numbers, place cards, programs and have them all match the theme of your wedding. If you want any of these items you should order them together for better package pricing. Review your guest list to verify the correct addresses. 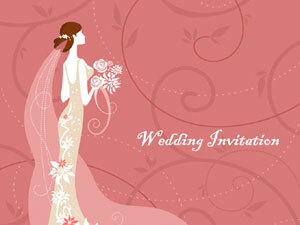 Finalize your design and start production of your wedding invitations. Always remember to order extras as there are always those last minute guests that are added. You may also want to consider custom wedding stamps as an idea. Now it’s time to address your invitations. If you hand address them or do them digitally it’ll give it a more elegant look. If calligraphy is involved it’s time to hire a calligrapher. You should purchase the postage stamps to your response card envelopes/postcards. Make sure you take one finalized invitation to the post office to get the correct postage amount. A boxed invitation will cost a little more to mail and may be hand metered. Apply your proper postage stamps to all your invitations and mail them. You’re almost done! Keep track of your RSVP cards as they come in the mail. Once you have close to your final count of RSVP cards. It is time to start designing and producing your programs, menus, place cards and thank you cards. Any guests you didn’t receive a response from this would be a good time to contact them. Provide your final guest count to your reception/dinner location.